I made these for you! Hey, I didn’t make these for YOU! I made these for you! Thanks Mom! 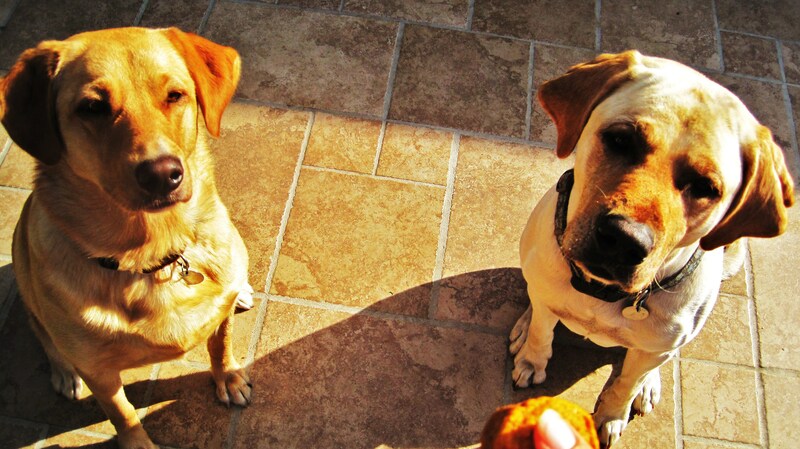 Even our 4 legged friends deserve pumpkin treats during Pumpkin Week! Did you think I forgot you? I would never! I made this for you! But before I tell you about your Pumpkin Blondie’s with Vanilla Butter Cream Frosting, lets discuss the Pumpkin Doggie Treats! 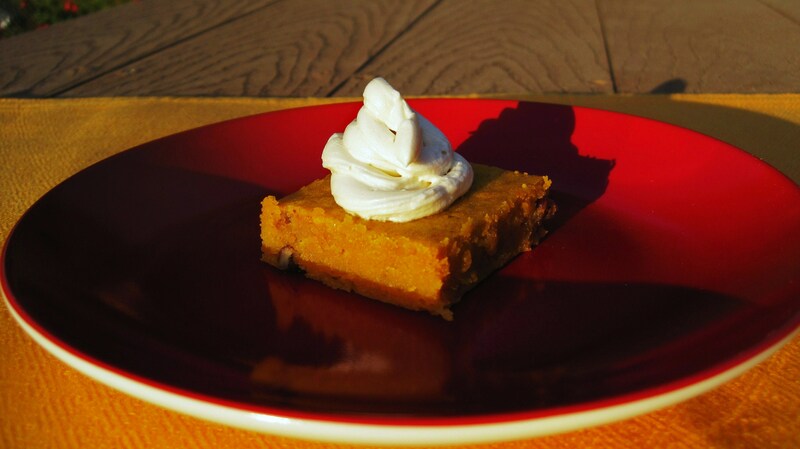 I got this recipe from http://www.dogtreatkitchen.com/pumpkin-dog-treats.html There all natural and full of pumpkin. There super easy to make! Mix all ingredients together in one bowl. Lightly spray muffin cups or line with cupcake papers. Spoon mixture into each cup. 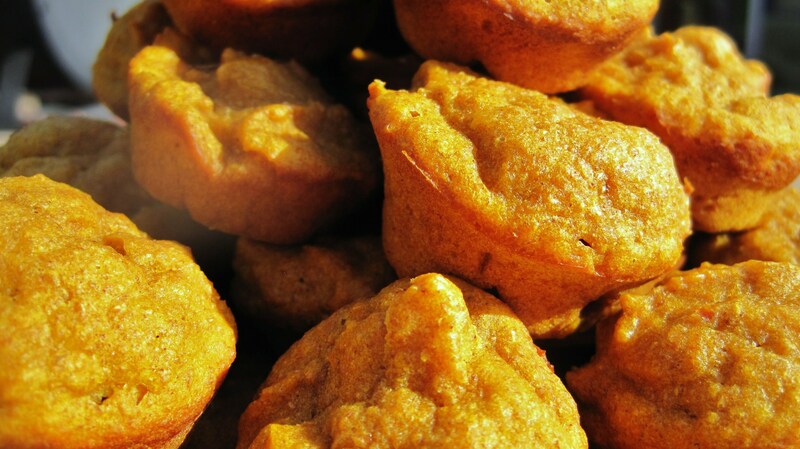 Bake for 15 minutes in a mini muffin pan. Or, bake for 25 minutes in a regular muffin pan. 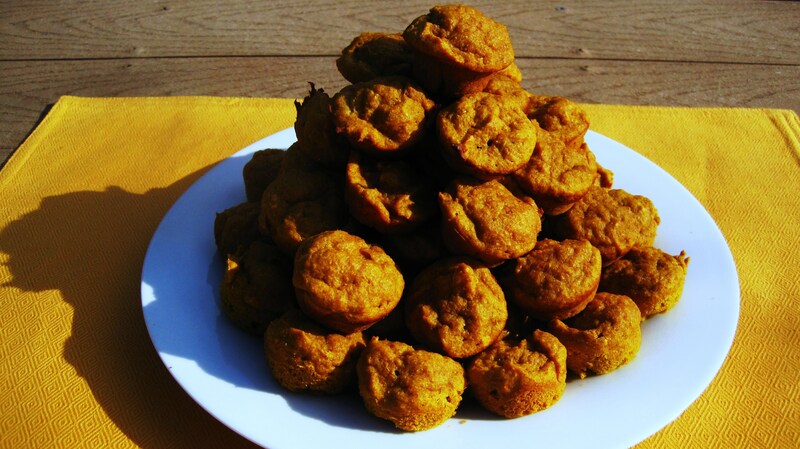 Storing: These pumpkin muffin treats will last for about 1 week in the refrigerator. They will be good for up to 6 months in the freezer. So simple! 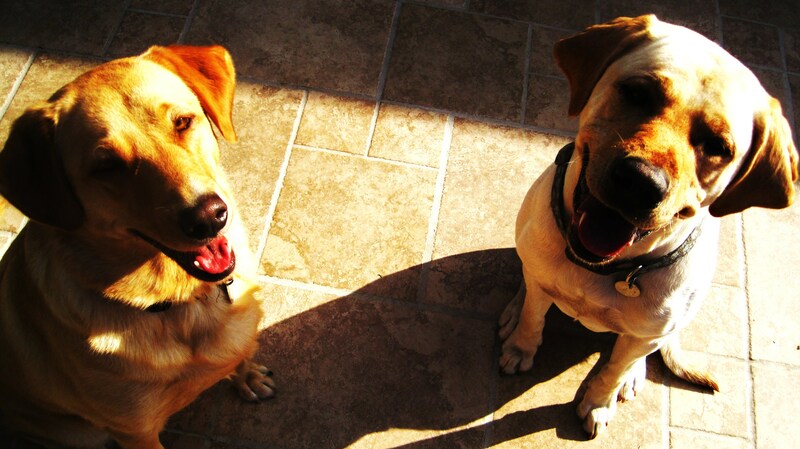 And my Bad Babies were Happy!! I think my Boy knew they were for him. Little Jenny tried one and she said there ok, but she put cream cheese frosting on them and she said they tasted great! Silly Girl! Beat in spices, salt, the egg and the pumpkin puree. Sift flour into the bowl and stir it in, mixing until just combined. Add in pecans and stir to evenly distribute the nuts. Pour batter into prepared baking dish and spread into an even layer. Bake for 20-25 minutes, until the brownies are just just lightly browned at the edges and the center is set. Cool in the pan before slicing. In a small bowl add your butter and beat until fluffy, add a 1/4 cup of powdered sugar, milk and vanilla extract. Beat for about 3 minutes & then add the remaining sugar. Beat until desired consistency. About 4 more minutes. Taste to see if you need any more sugar or vanilla. If it is to thin, add more sugar, if to thick add a pinch more milk. Once the Blondie’s are cooled, cut into 16 pieces. 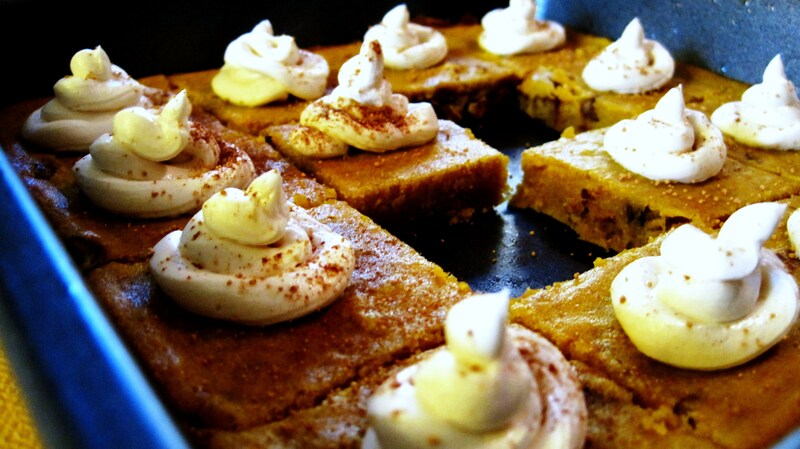 Take your frosting and put into a ziplock bag, cut the corner off and pipe on to Blondie’s. This was the first time I ever made homemade frosting and it turned out so good! My Husband and Little Jenny loved them! They taste like little pumpkin pies. My husband wanted the vanilla frosting. I would of used a maple butter cream or a cream cheese frosting, but vanilla was his choice. Well that’s it for Pumpkin Week, but don’t be sad! 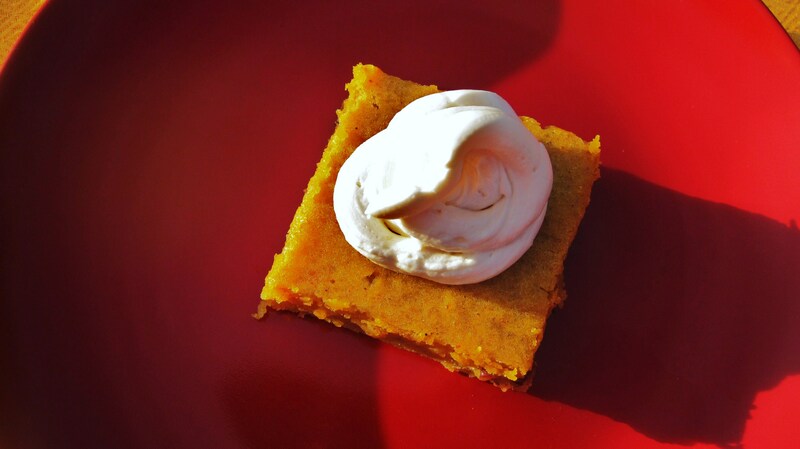 I will have more pumpkin recipes in the near future! Have a great weekend! Now I need to prepare dinner for date night! 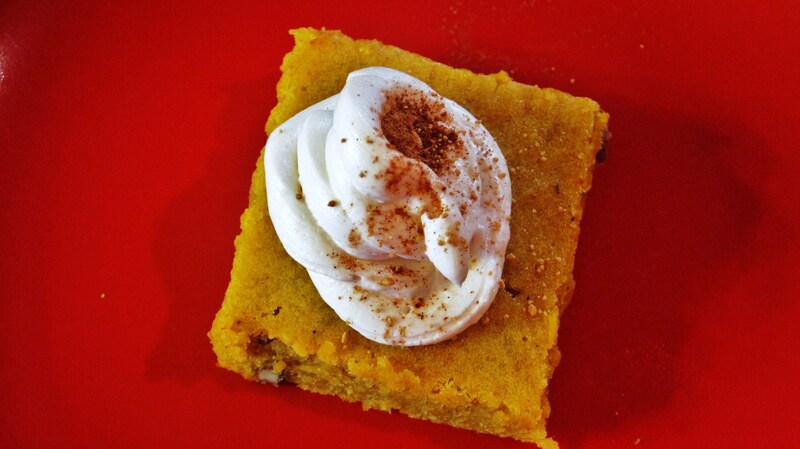 By the way, what is your favorite Pumpkin Recipe?? P.S. I haven’t been able to get onto Facebook for a few days, sorry I haven’t posted anything. I have the white screen. I hate what they have done to FB! 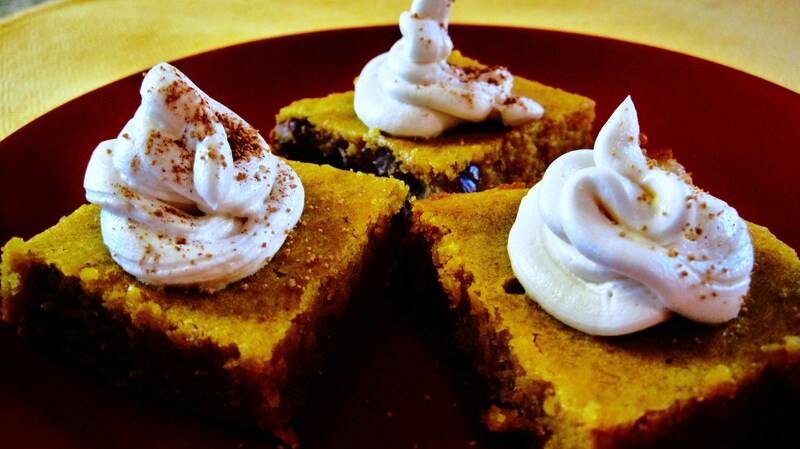 Can thou use stevia in the blondies? I know some recipe doesn’t fair well with stevia. My family is on a low sugar and caloric diet and would love to try these. Thats funny that you asked that because I was thinking of remaking my blondies and trying it with Stevia. Honestly I am not sure how it will turn out. If you try it, let me know. I’ll try to make it this weekend and post the results.